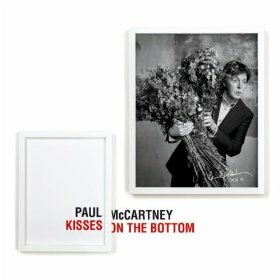 The standards album has long been the grave marker on a classic rock star’s career and while that might not definitively be the case with Paul McCartney’s new album, Kisses on the Bottom, I’m probably just saying that because I don’t want it to be true. I’m not sure who exactly buys these albums but someone must because they keep coming, just like funerals. Paul has been experimenting with different genres from the early days of The Beatles, but in the past few years his experimentation seems to become more of a creative search and it hasn’t always been so frugal. My issues with the album are plentiful, but most predominantly the music doesn’t feel like McCartney. The band is fantastic, but as a vocalist he fails to make his mark on the majority of the songs. The songs lack innovation and tend to give the feeling of a lonely late holiday night after a few too many hard drinks and a lifetime of regret. Happily there are exceptions such as: “We Three (My Echo, My Shadow, and Me),” which has the timeless element some of the other songs lack and “My Valentine,” one of two original tunes on the album, which features Eric Clapton on guitar and brings a darker tone and an intriguing melody that feels fitting for Paul. After an amazing career of music, Sir Paul can really do whatever he wants and if this is his thing, so be it. We don’t need to kiss his bottom, I’d just suggest his back catalog.